Smoke is Drifting into Alameda County from a Fire in Solano County. Please Do Not Call 911. 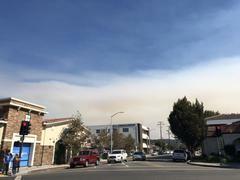 ‪Smoke is drifting into Alameda County from a four-alarm fire in Solano County. Please do not call 911.